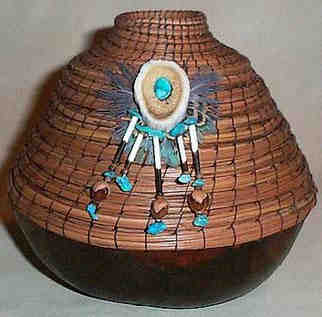 "I have just received a wonderful coiled gourd from Margaret Shingler. 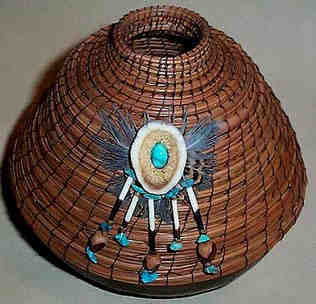 She wrote 'It's done with waxed linen, antler slice, quills, juniper berries, and turquoise chip beads. The feathers are pheasant'. This description doesn't do it justice. It's so much more......but I don't have the words either."